A group of Swiss World Cup fans booked a hotel in the wrong Russian city, confusing Rostov-on-Don where Switzerland played Brazil on Sunday, with Rostov Veliky, 1281 km (795 miles) away. 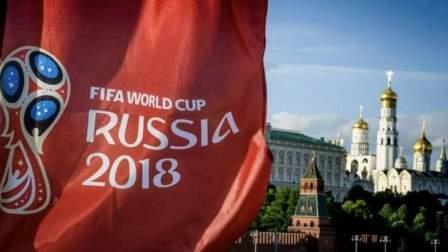 Russian media reported the fans called police when they could not find the hotel, while finding the same street name in the World Cup host city. "Foreign tourists who have come to support Switzerland called us and said they were looking for a hotel," local police said in a statement on Monday. "Our translator told them they were confused in the difficulties of translating Russian geographical names and that they booked a hotel in Rostov Veliky." Rostov's police press service told Russian media it has employed professional translators and volunteers who speak Spanish, English, Arabic and French for the period of the World Cup. It added that it helped the confused fans find accommodation. Earlier Russian and Ukrainian media reported on a group of Swiss fans who travelled to Rostov-on-Don by car through eastern Ukraine, where a four-year conflict has killed more than 10,000 people, apparently unaware that it was a war zone and following their GPS. Rostov-on-Don sits just 60 kilometres (40 miles) from the frontline in eastern Ukraine. Russia is taking extensive security measures to make sure the fans are safe.